Make no mistake, gut health is on trend. What interests me is that the latest scientific research is affirming what holistic skincare wisdom has been saying for decades – there is a direct connection between gut health and skin health. 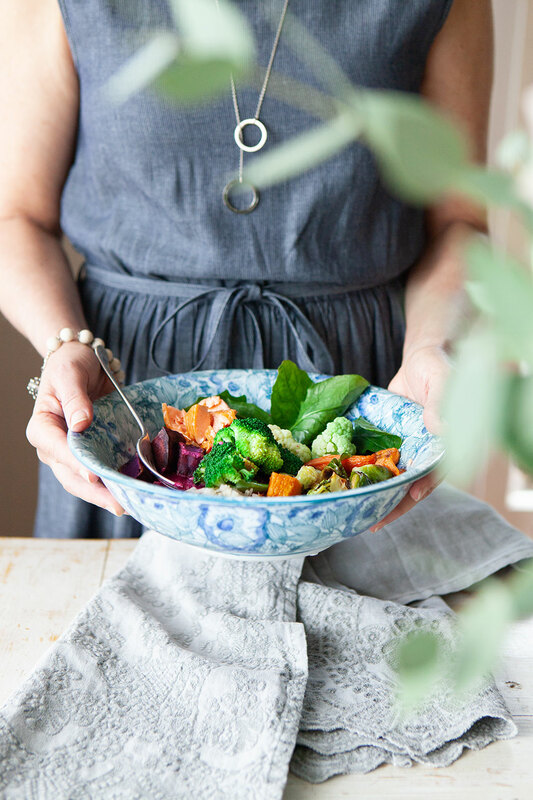 I have incorporated gut health strategies into my skin transformation coaching since my early 30’s, but I recently faced a debilitating health crisis which suddenly made this gut wisdom very important to me. In late 2016, over a period of just one month I went from being fit and active, hiking in outback New Zealand and in the most advanced Pilates class to hardly being able to walk or dress myself. The discomfort started off in my lower back, spread to my hips and then to my upper back and shoulders. I was in terrible pain. As I continued to deteriorate, I started fearing that I was going to end up in a wheel chair. Then as an added bonus I developed perioral dermatitis and patches of persistent eczema. I underwent a huge number of tests ranging from MRI’s to blood tests for autoimmune disorders. None of the specialists could find anything wrong with me except for high levels of inflammatory markers in my blood. There was no explanation and I had no idea what to do next. I started thinking this could be the end of my career. How could I continue to teach skin care therapists about health and wellness with any integrity when I couldn’t even heal myself? Luckily I ended up under the care of a great physiotherapist who used a holistic approach and could help me to connect the dots. A year prior to this happening I had picked up a mild gastro infection while I was travelling New Zealand offering skincare education. It didn’t cause me too much distress so I let nature take its course and within a week the symptoms settled down. But they never fully disappeared and I was left with an irritable bowel. After about six months of this mild discomfort I decided to get it checked out. A physician took a biopsy of the bowel and diagnosed me with lymphocytic colitis, an inflammatory condition of the colon where the lymphocyte or immune cells accumulate in the bowel wall. The physician suspected that my immune system had dealt with the original infection but had failed to turn off. My gut immune system remained on high alert, the lymphocytes all waiting for invaders and at the same time inflaming my bowel. There was no cure, I just had to hope the situation would resolve itself given time. A few months on, my gut was still unhappy and the pain in my joints began. Looking back I realised that my sensitised immune system had continued to inflame the colon, resulting in leaky gut. The increased permeability of the gut meant undigested food and inflammatory substances could enter the blood stream and spread throughout my body. For me they took up residence in my joints and skin. Nothing I tried gave me any relief. I couldn’t exercise, could hardly walk, needed help to dress and couldn’t even travel for any distance in the car. I became fearful, stressed and in constant pain. You can imagine what a relief it was for me to find this holistic physiotherapist who could help me. She encouraged me to go on a dietary programme to heal my gut. Within 24 hours of eliminating certain foods I started to feel just a little bit better. These were foods that I would normally consider to be healthy but I now know are irritating to a damaged gut. It was the first sign of improvement since this saga began and I was encouraged. I stuck to the programme religiously and it took me a good 18 months to completely heal myself! My skin was the first to heal and then slowly, as my gut symptoms improved, the inflammation in my joints reduced. 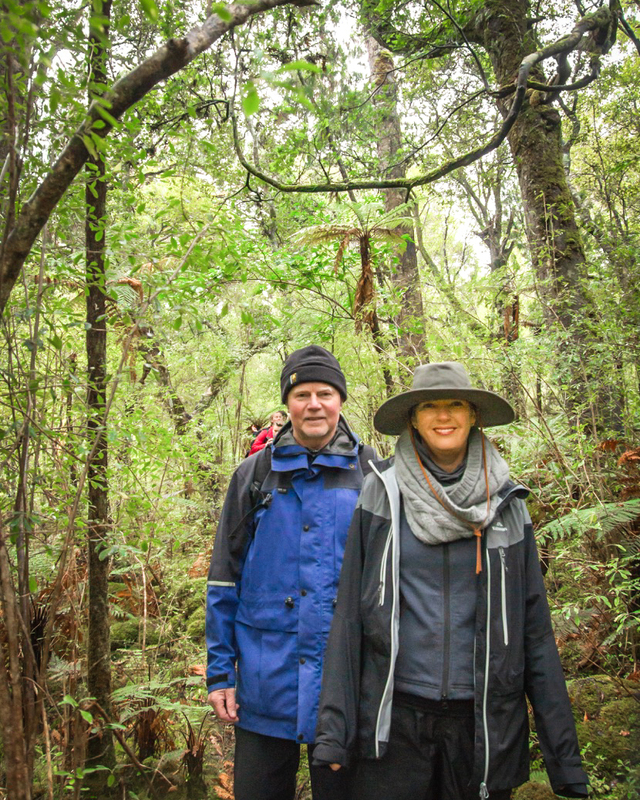 I am now back to full health, I’m focussing on regaining my spot back in the advanced Pilates class and I’m out enjoying the New Zealand great outdoors – a recent trip to Steward Island being a highlight! There were other gifts that came out of this challenging experience too. Firstly I lost weight. It just dropped off me as soon as I embraced the dietary programme and I lost 7 kilograms in total. I also find I’m more motivated to pursue wellness as a priority, incorporating daily meditation, good sleep rhythms and enjoying a healthy balance of breath-based and cardio exercise. I am so grateful to have had this experience. I now have a strong sense of conviction about how important it is to heal your gut before you try to heal your body or your skin. I’ve become passionate about producing resources and tools to help therapists and their clients transform their skin and their wellbeing with gut-health strategies. The Bestow Gut Love + powder is a game-changer and I can’t wait for you and your clients to try them. A world-class synbiotic powder, including probiotics, prebiotics and digestive enzymes to restore the gut and renew skin from within. Rich in fibre, it promotes regular elimination of toxins, creating the inner environment for clear, glowing skin. READ MORE.